Last week we produced a lifestyle photo shoot for Virginia’s Live a Little to prepare for the launch of their new site featuring their salad dressing and crouton products. Virginia Davis, the executive chef and founder who came up with the recipes for the entire product line, also joined us at the shoot. To bring the products and recipes to life we worked with hand models, food stylists, and two photographers at Shotwell Studios in San Francisco to set up the shots showcasing Virginia’s recipe and salad dressing pairings. 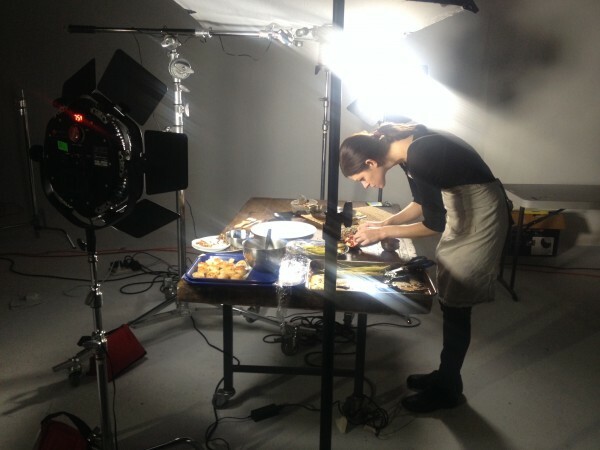 We had an ambitious shooting schedule which included producing ten hand-shots of the food being prepared and then ten plated shots of the finished recipes. Can’t wait to see the finished product and share the results, so stay tuned. In the meantime, pick up some of Virginia’s original salad dressings at your local Whole Foods. Our favorites are the Very Blue and Ginger Sesame.